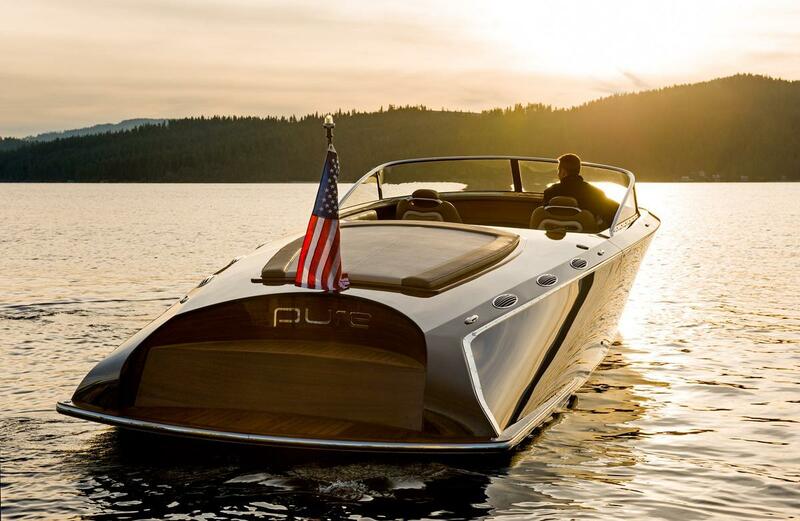 Pure is an example of the “pure” definition of Gentleman’s Runabout. She is hand-crafted from imported African mahogany and Western red cedar; cold molded using vacuum bag technology to produce excellent weight to strength ratios. 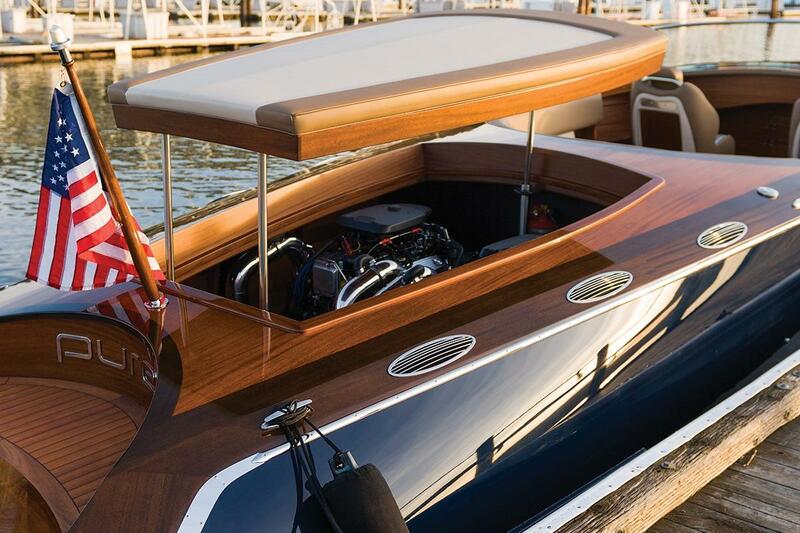 This amazing 34’ runabout is powered by twin 6.2 liter small block engines that rate 400 HP each. 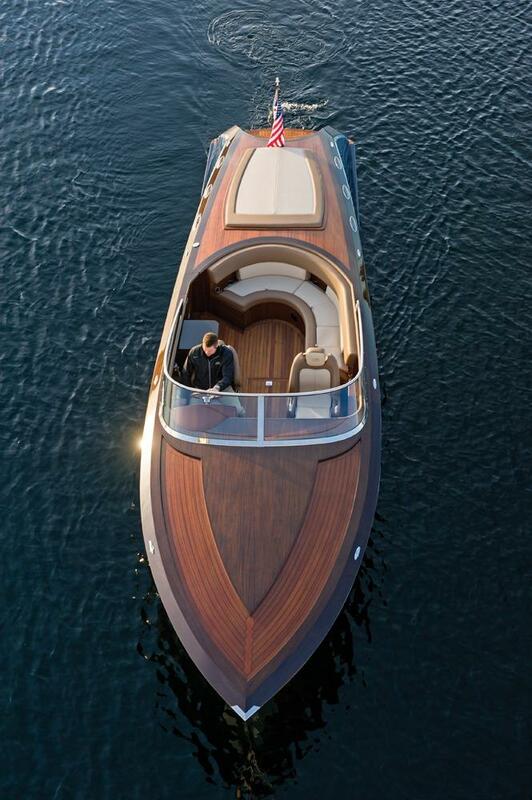 The purposeful design of the hull give her amazing lift, maximizing power and achieving a quick plane and smooth, powerful cruising stability. 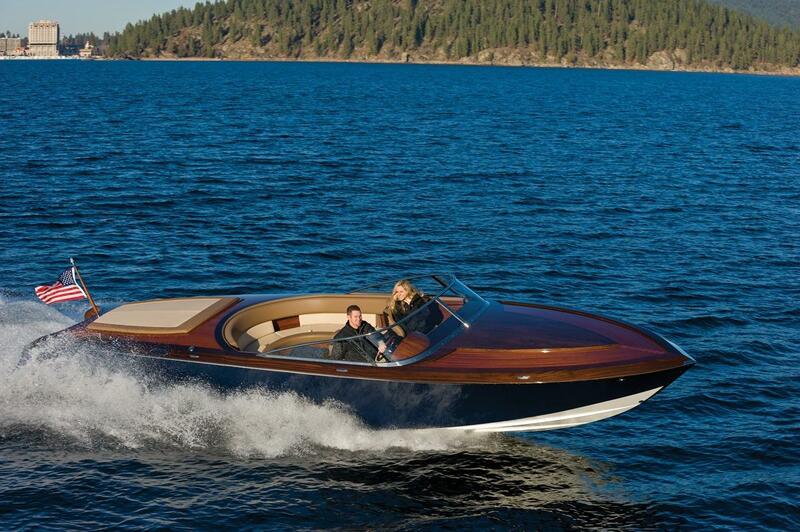 The Alexseal Blue Hull sides add to her unique attractiveness while providing added durability. 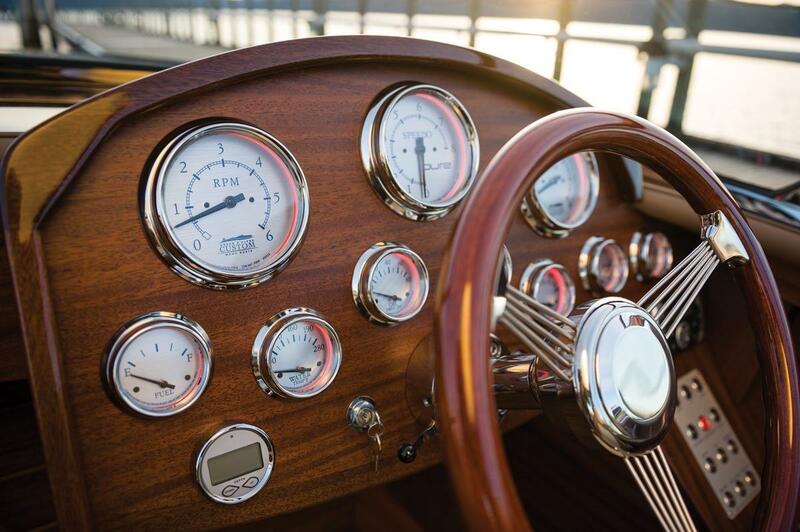 A custom signature stainless steel windshield with special bent safety glass, Livorsi gauge package with custom dial faces give Pure a distinctive look no other boat possesses. 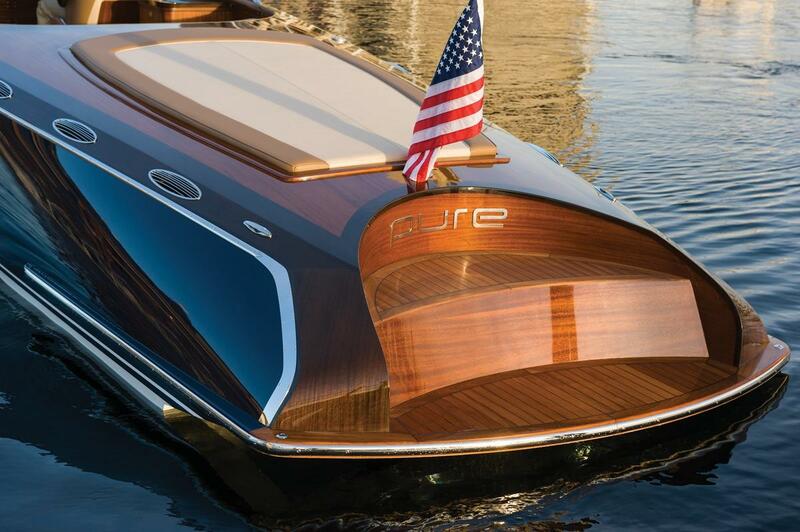 Pure is, from stem to stern, one of the most sturdily built, luxuriously fitted and handsomely powered hand-crafted wooden runabouts we’ve ever created.